Croc’s second and final outing sees the titular cutesy crocodile set out on a quest to find his true parents and defeat the recently resurrected Baron Dante. If you’ve played the original Croc (which we covered in this article) you will know what to expect. Croc has a few new tricks in his tail and this time rather than just rescuing the cute little Gobbo creatures, Croc will be tasked with all kinds of errands as he makes his way around the game environments. Back in 1997, Croc 2 was met with less enthusiasm than the first game, with reviewers criticising the games often restrictive camera and sharp difficulty levels. Nevertheless, fans of the first game will find much to enjoy in this second outing which runs perfectly on modern PCs, just follow our directions here and you will be up and running in a snap. Croc 2 will install on modern PC’s without any issues. Simply insert the CD and follow all the on-screen prompts. The installer will copy a bare minimum amount of data to your PC’s hard drive, so the orignal Croc 2 CD-ROM must remain in your computers optical drive at all times during gameplay. To run Croc 2, make sure to start the game as administrator. You can do this by right clicking on the Croc 2 icon and selecting “Run as administrator” or by setting the compatibility options for the game. We found that the game simply locked up unless run as administrator, unfortunately if you install this game for a child or other user without an administrator account you will need to grant them permission to play each and every time. Graphical options for Croc 2 are configured from within the game. Simply start the game and from the title screen, navigate to Options->Display Options. The first option you will want to configure is the screen resolution. This is done under “Change Screen Mode”. When choosing a screen resolution, remember that Croc 2 is a 4:3 (non-widescreen) game. The game will let you choose widescreen resolutions, but the games graphics will be stretched if you use one. To avoid this, choose a high resolution 4:3 screen-mode instead, such as 1280×960 or 1024×768. On any modern PC, all the other graphical options can be set to their maximum. Choose “Maximum draw distance” and “Highest Graphical Quality”. You don’t need to set custom quality options unless some of the graphical effects don’t work on your system. 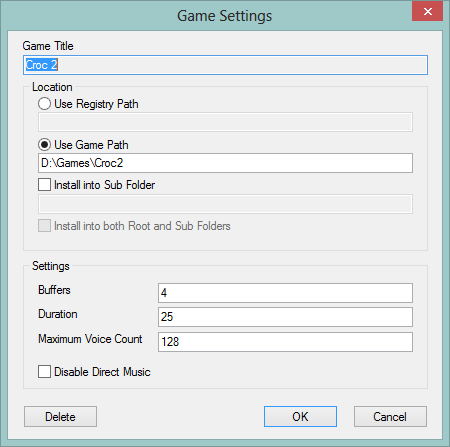 Aduio settings for Croc 2 can be configured from the main menu under Options->Sound Options. For an older game, Croc 2 supports a surprising amount of audio options, from mono right up to 5.1 surround sound. Unfortunately, like most older games, Croc 2 uses the now depreciated Direct Sound hardware acceleration features. This means that, in all versions of Windows from Vista onwards, you will only be able to hear basic stereo sound with many sound cards. If you have a Creative Labs EAX sound card, you can use the Creative ALchemy software to restore surround sound to Croc 2. Doing this is really easy, simply start the ALchemy tool and click on the “Add” button. Select the “Use Game Path” option and then browse to the Croc 2 folder. Leave all the other options as the default and then click “OK”. The screenshot below shows an example of an ALchemy configuration for the game. Start Croc 2 after configuring these settings, then go back into the audio options (Options->Sound Options). You should now be able to select 5.1 or any desired speaker configuration. To test surround sound in the game, start a new game and run forward a few screens. You should find a Gobbo bouncing on a trampoline near the start. Run past him and if surround sound is working, you should hear his bounces in your rear speakers. If you have another make of sound card that supports legacy audio (such as certain Asus Xonar cards) consult the documentation that came with your sound card for details of how to configure the software. Croc 2 supports modern controllers, including analogue controllers like the Xbox 360 pad. 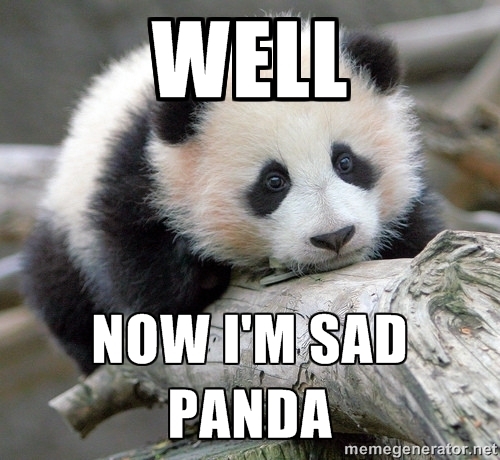 Using the analogue stick on our 360 controller to move Croc was acceptable, but the dead zone (the amount that the stick had to be moved before Croc started to walk) was a little high. 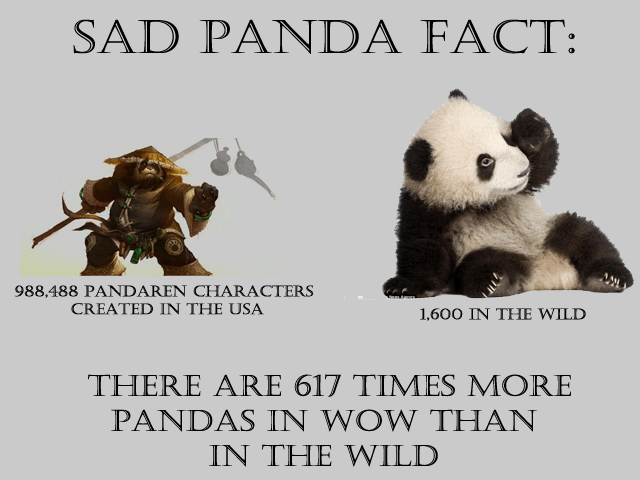 It’s nothing that spoils the game however. The games controller configuration will not allow the Xbox 360’s d-pad or analogue triggers to be mapped to any inputs, this makes managing Croc’s inventory a little tricky. 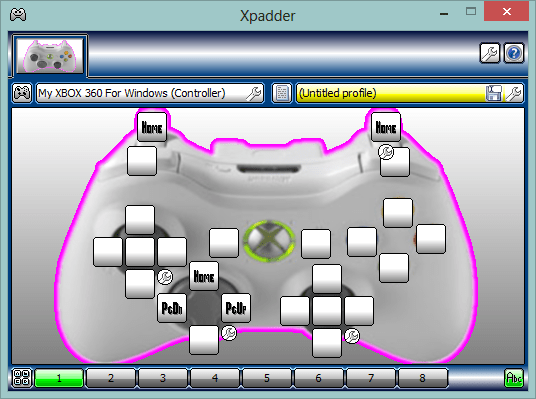 By using Xpadder, you can configure the d-pad to handle inventory management. Below is a screenshot of the Xpadder profile we created for the game. Left and right on the d-pad have been assigned to Page Up and Page Down. This moves through Croc’s inventory. Up and the trigger buttons have been assigned to “Home”. This is the key we’re going to use for “Use item”. By default that’s assigned to enter on the keyboard, but since we didn’t want to make navigating the games menus more confusing we changed it to the Home key. Remember to reconfigure the keyboard controls in the game under Options->Controller Options->Define Controls to match whatever Xpadder configuration you use. Since Croc 2 needs to be run as administrator, you may find that you need to run Xpadder as administrator too, in order for the keyboard commands to be properly sent. You’re now fully ready to explore the colourful cutesy world of Croc 2. Have fun and leave us a comment if you encounter any difficulties. did you try the alt-tab keyboard shortcut to make sure that the window hadn’t got hidden somewhere? Hey I found my old CD of this game and installed it but the sound is not working, I’ve tried replacing the sound files with ones I found on a torrent, tried changing the in game configurations and nothing happened. I use Windows XP do you guys know how I can fix this? I’ve got a Croc 2 disc somewhere which is for windows 98 i think. Would that work on Windows 7 which is what i have now ?? Probably, it worked for us after all. @BuckoA51 I had Croc 2 working on Windows 10 Home 64 using AMD’s RX 570 with Intel I3 8350K using 1080P & it looked pretty great. The game launcher after setup just hangs.